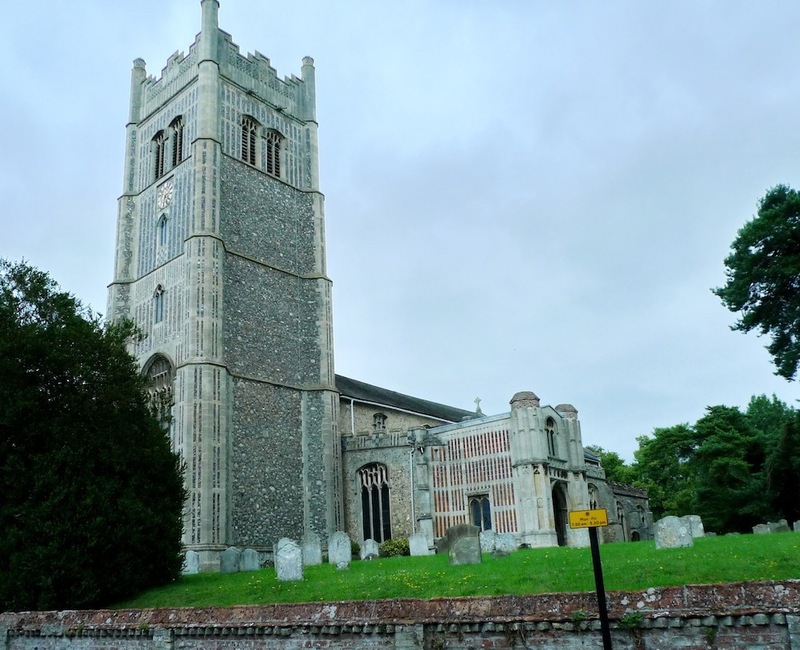 Look up when you reach this church because its beautiful flint and stone tower, rising 100 ft into the sky, is known as the ‘Wonder of Suffolk’. Well the tower certainly as it’s one of England’s finest. 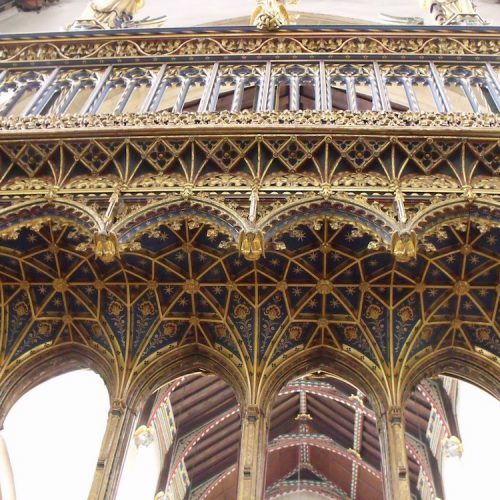 Go round the outside and admire the flushwork – they’re the patterns made of flint – before stepping inside to see the magnificent gilded rood loft and rood – that’s Old English for ‘rod or cross’. Remarkably, it was done in the 1920s. 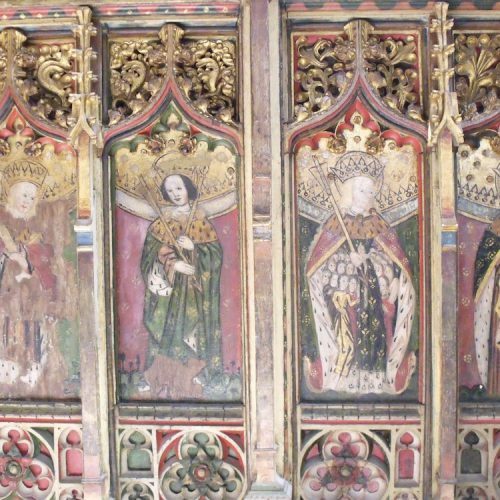 For medieval, look no further than the church’s great masterpiece which is the finely painted rood screen of kings, saints and bishops dating from 1480. 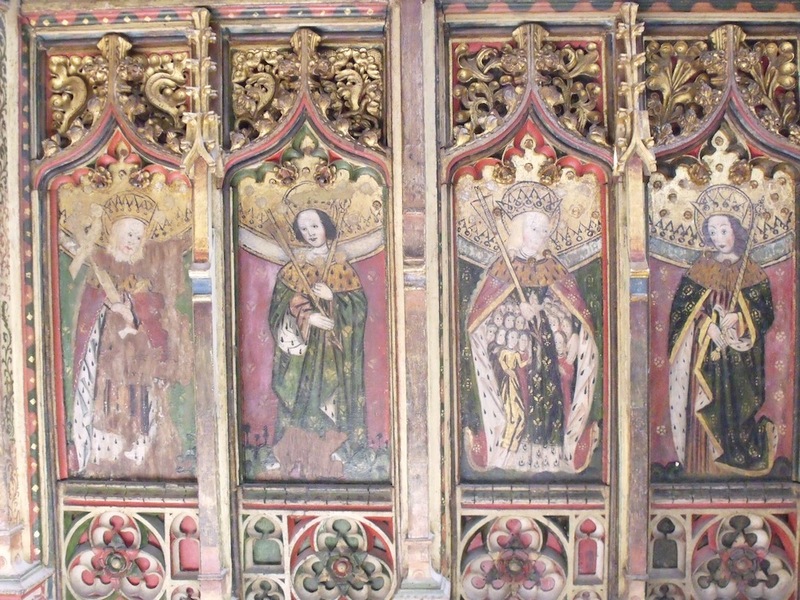 Look up to see the nave roof adorned with colourful crowned figures. 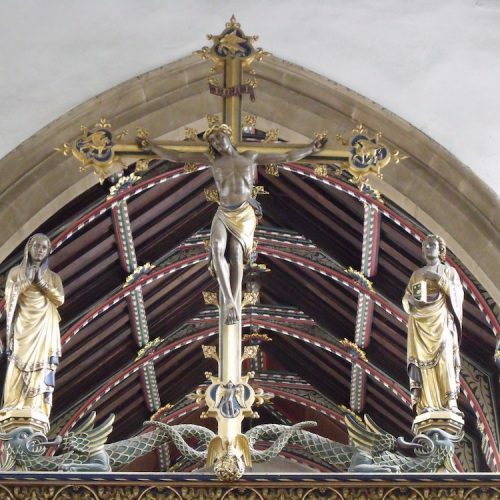 This church goes right back to the 14th century but a century later, serious money from the wool trade paid for the church to be heightened with clerestory, new windows, two-storey porch and lofty tower. 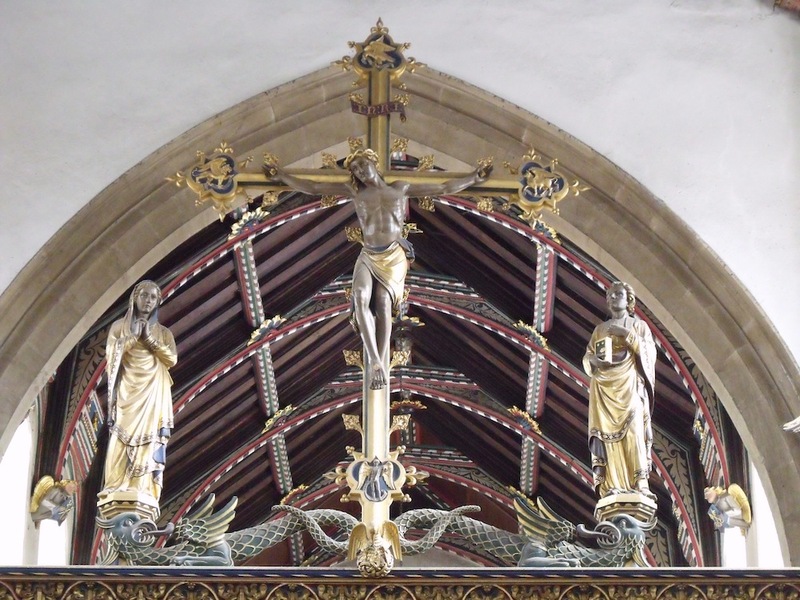 The richly coloured interior is largely the work of Gothic revivalist Sir Ninian Comper who died in 1960. Eye is on the Angels & Pinnacles Blue Church Heritage Trail. 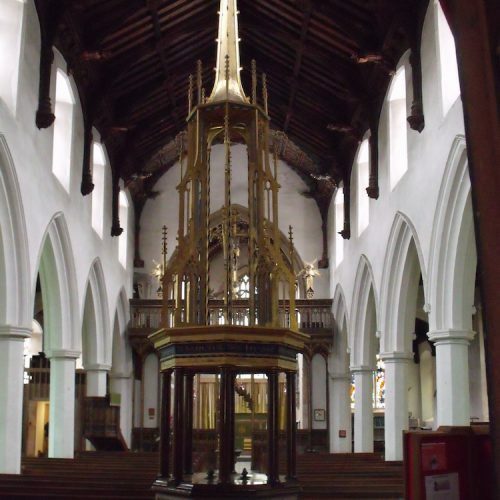 The church is open daily and has a well-stocked Fairtrade shop and a loo! Eye Castle dating back to the Norman Conquest and rebuilt in 1182. 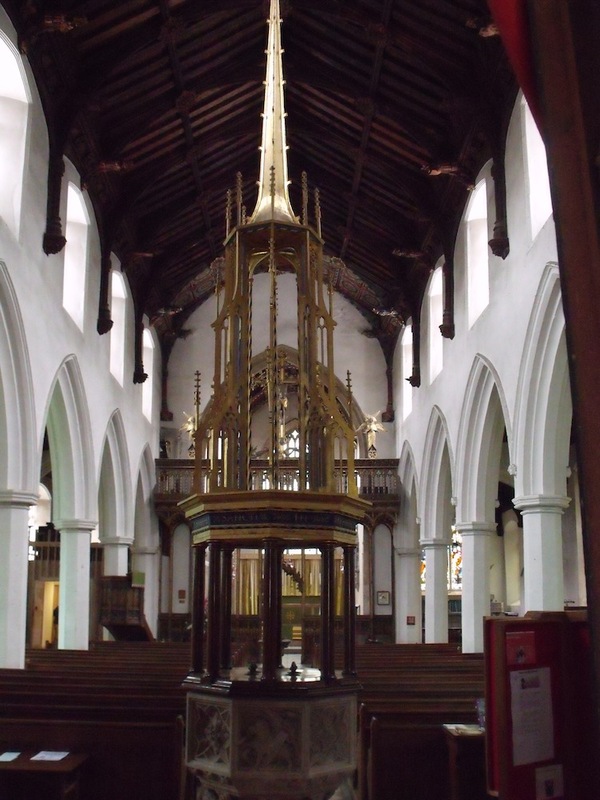 Superb views of the town and church from the viewing platform. The Pennings Nature Reserve , east of Eye with views of church and castle. Remains of the Benedictine priory, known for the past 200 years as ‘The Abbey’. 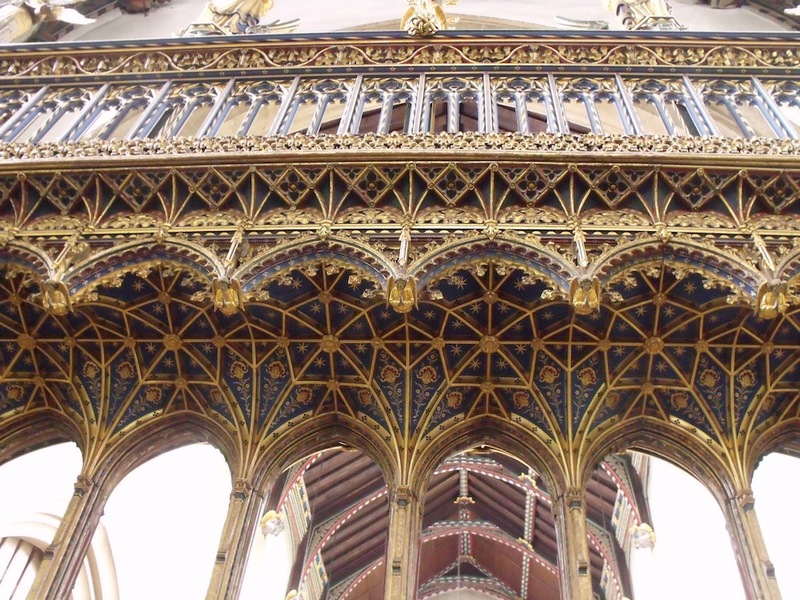 You can visit on Invitation to View tours. 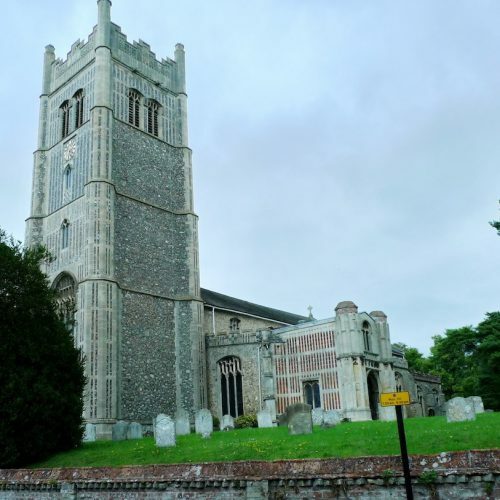 The town trail will take you to the many interesting and historic buildings in Eye, including the Town Hall and the Guildhall.